This 1913 postmark Art Co postcard is a real photograph and so a great deal of detail is visible. 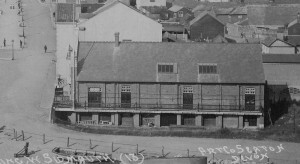 You can see the oriel window on the front of the Drill Hall on the ground floor but it is not possible to get the one on the upper floor to show clearly. 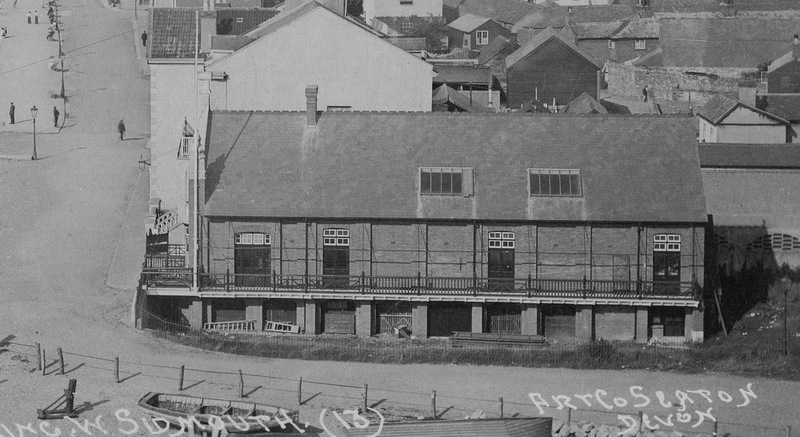 The steps up to the house next door and its balcony indicate just how quickly the land dropped away from Ham Lane to the mouth of the Sid, as does the height of the Drill Hall balcony above ground level. Notice the shadows cast on the side of the Drill Hall along the balcony. They seem to be support poles, possibly for an awning during hot summer days. The Reading Room sign also seems different from the earlier pictures.